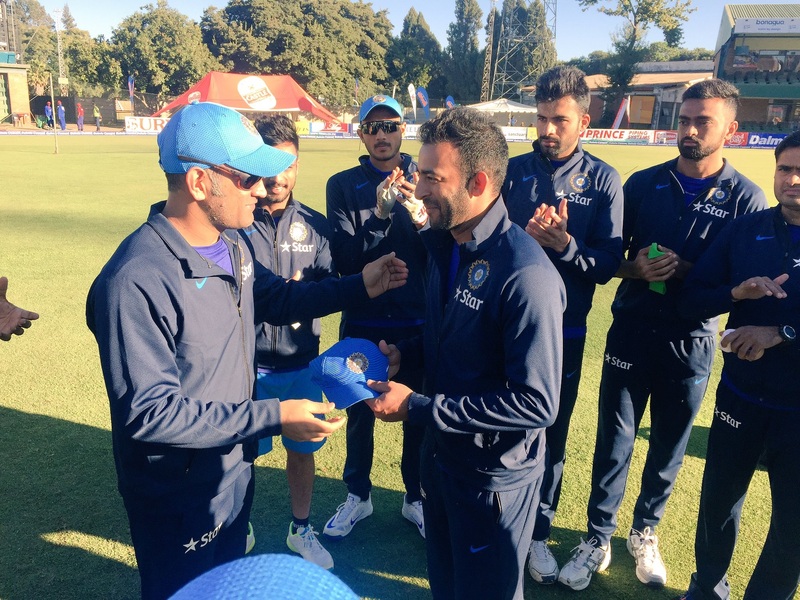 Nagpur Boy Faiz Fazal Hits Unbeaten 55 On Debut For India! Nagpur boy Faiz Fazal Hits Half century against Zimbawe at Harare. In the 3rd ODI, Zimbabwe v India at Harare, Zimbabwe made five changes to their XI for one final chance for a victory in the ODI series and also got the chance to set a total in Harare after Captain Graeme Cremer won the toss and elected to bat on Wednesday. India's only change was the inclusion of debutant left-hand opener Faiz Fazal, whose most recent List A innings was a century. Fazal has a reputation as an attractive stroke player and that trait was on show when he was playing for Rest of India against first-class champions Mumbai and struck 127 in the final innings of the match to overhaul a target of 480. So, with this match Nagpur boy Faiz Fazal got his India debut and he didn’t disappoint. Chasing a small target of 123, Faiz opened with KL Rahul and carried the bat through the end. He scored 55 runs that included 7 boundaries and a six! In a typical Dhoni-esqe fashion, he also scored the winning runs with a boundary. Congratulations on your lucky day Mr. Fazal! We hope you get more such opportunities to shine for India.